David Wyn Jones's main interest lies in the music of the Classical Period, in particular Haydn, Beethoven and Vienna, and in aspects of music dissemination and publishing. He was a member of the core group for the international project, ‘The Circulation of Music, 1600-1900’, sponsored by the European Science Foundation (2000-04). was appointed as Lecturer in 1974, becoming Senior Lecturer in 1998 and Reader in 2002. 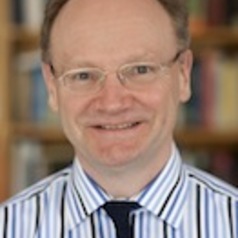 He was awarded a Professorial Chair in 2007 and was Head of School March 2008 - July 2013. He has recently been awarded a Major Research Fellowship from the Leverhulme Trust to research a long overdue, alternative approach to the history of music in Vienna. He is on the Editorial Board of the journal Eighteenth-Century Music and the e-journal Joseph Haydn Perspectives. His book The Oxford Composer Companions: Haydn was awarded a prize by the International Association of Music Librarians (UK and Ireland) in 2002. He has been chairman of the Music Libraries Trust since 2005, is a Trustee of RISM (UK) and was elected a Vice President of the Royal Musical Association in 2009. He has given public lectures and talks at the BBC Proms, Edinburgh Festival, Royal Festival Hall and other major venues. He currently teaches a module on the history of opera from Handel to Weber, a postgraduate seminar course on Haydn’s op. 76 quartets and individual postgraduate seminars on canon and reception history, historiography, and the public sphere.